Interested in writing about Alertness? Contact information and photo material for use by the media. Please credit the appropriate photographer and the Alertness project. Look through the photos below and right click to download low resolution images. For high resolution images, see list at the bottom of the page. Questions? Feel free to contact the Communication department at the Norwegian Meteorological Institute. The Alertness logo and directions for use is available for download here. Topics and contacts concerning weather forecasts in Arctic regions. EISCAT Svalbard radar, Longyearbyen (18th of September 2005). Photo: Eivind Støylen. Right click to download low resolution image. Evaporation fog in Tromsø. Photo: Eirik Samuelsen. Right click to download low resolution image. Sommarøya, Troms, 2015. Photo: Gunnar Noer. Right click to download low resolution image. 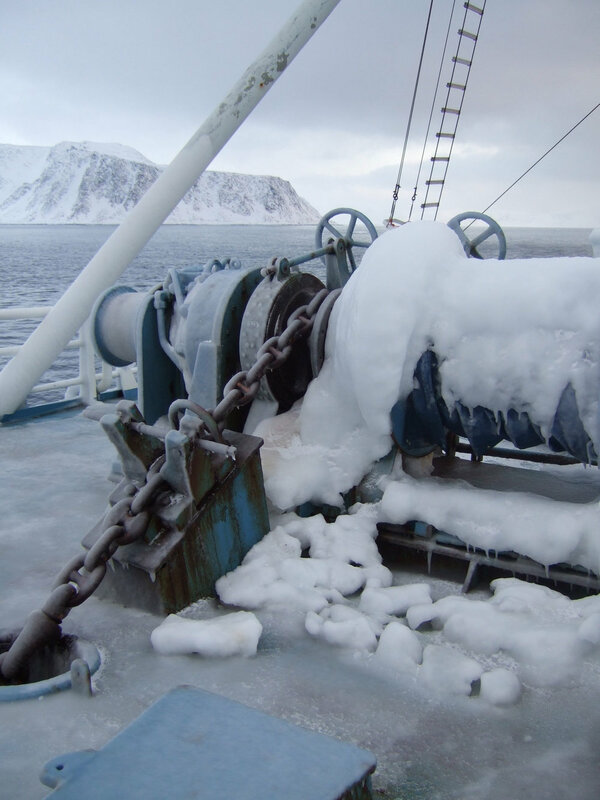 Ice on the research vessel Lance, north of Svalbard, april 2007. Photo: Eli Anne Ersdal. Right click to download low resolution image.